Chinese retail book shop Maha Yu Yi has two stores within Singapore’s Bras Basah Complex (#02-15 & #03-07/11, 231 Bain Street). Established in 1969, Maha Yu Yi retail bookshops carry a wide range of Chinese books. 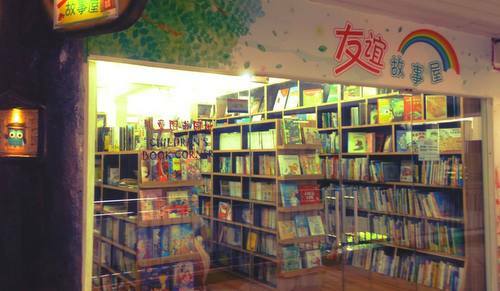 One of the shops caters to teenagers and adults, while the other store specializes in Chinese children’s books. The adult’s bookshop features Chinese books in categories including fiction, literature, philosophy, to healthcare, traditional Chinese medicine, self-help, management, comics, as well as books for learning Chinese language and other foreign languages. Maha Yu Yi children’s bookshop, meanwhile, has gained recognition for having the widest range of quality picture books and story books in Singapore. The company’s children’s bookstore has a wide range of books for 0-12yrs old, carrying more than 1,000 titles of picture books by Chinese, Japanese, Korean, American, British, European etc. authors. Maha Yu Yi also has junior books for lower and upper primary students, with or without hanyu pinyin. The books are mainly in simplified Chinese characters, but they do import specially selected titles from Taiwan. Besides retail customers, the company also supplies primary schools, kindergartens, and childcare centres. Furthermore, at the store, you can buy calendars and China stamps. The official Maha Yu Yi Facebook page is located at www.facebook.com/yuyibook/. Following the Facebook page, you’ll get updates about new titles at the bookstores’ shelves, events at the shops, promotions, plus more.